You’ve probably spent years of your life with your hand attached to a hair dryer, trying to tame your locks into submission. Wouldn’t it be nice to forego the morning fuss of the blow dryer and enjoy a second cup of coffee instead? Perhaps it’s time to swear off the dryer for a bit – to give your hair (and wrist) a break – and say hello to air-dried hair instead. And if you’re concerned that air-drying will only lead to frizz, dullness, and shapelessness – don’t be. With a few tips and tricks, you can get a perfectly air-dried look. If you’ve got hair that’s prone to tangles, it’s important to get those knots out before you start air-drying. So don’t wait until you’re out of the shower to start detangling. 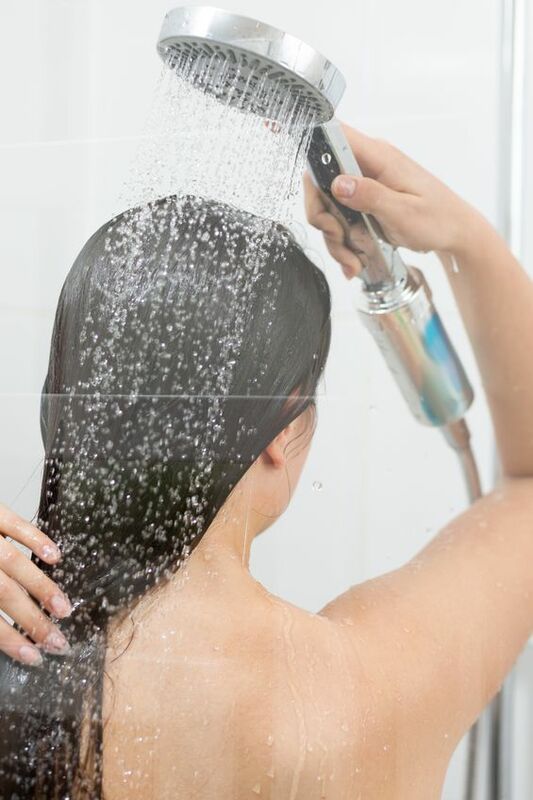 Detangle in the shower while your hair is still wet – specifically, while it’s soaking in conditioner. All that moisture and slipperiness will help protect your hair from any tugging or tension. Always use a wide-tooth comb, and start from the bottom of your hair – to avoid exacerbating any existing knots. Aggressively rubbing wet hair with a terry cloth towel will contribute to tangles and frizz, and may even lead to a full-on pouf. So, trade in your terry cloth for a microfiber towel. The small fabric particles of microfiber will be easier on your tresses. And avoid harsh rubbing. Instead, gently blot and dab excess moisture from your hair until it’s no longer sopping wet. One of the biggest culprits when it comes to frizzy hair is a dry, porous hair shaft. Desperate for hydration, dry, damaged hair will allow the cuticle to lift in order to get moisture from the outside air. This swells the hair strand, resulting in frizz.2 And yes, this can happen while you air dry. But a good leave-in conditioner will trap moisture, preventing the hair cuticle from lifting and frizzing out.3 The result? Smooth, soft, and manageable air-dried hair. Another bonus? 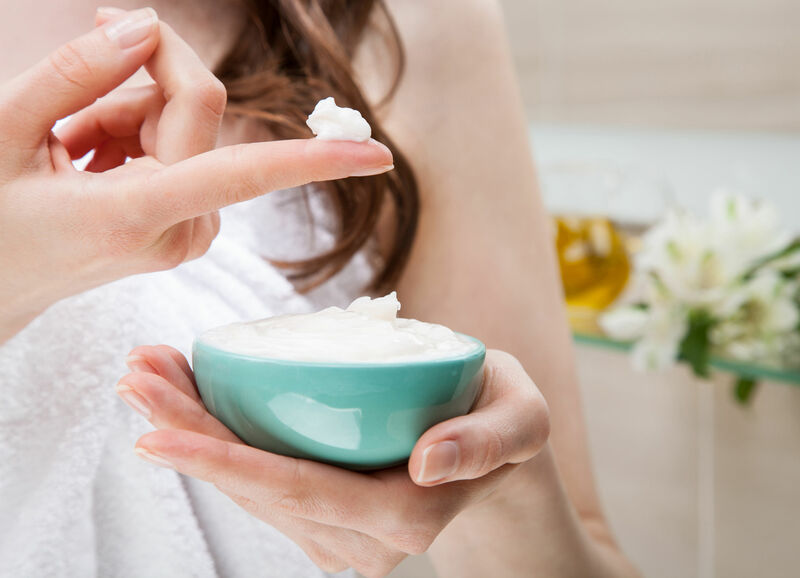 A leave-in conditioner can temporarily seal split ends, giving the ends of your hair a fuller, healthier look.4 Thick, coarse hair may benefit from a heavier leave-in conditioner. But if your hair tends to be on the thin, fine side – look for a lightweight formulation to keep hair from being weighed down. With a blowout, you’re often working against your natural texture to get a smooth, straight look. But to get great air-dried hair, you’re going to want to work with your natural texture. 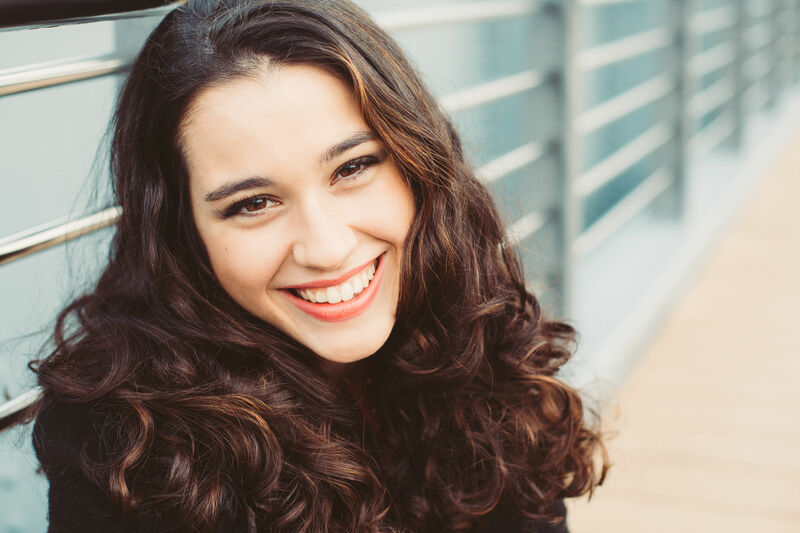 So, if you have naturally wavy or curly hair – emphasize it. Most wave and curl creams are designed for air-drying, and will compliment a natural look by adding smoothness, shine, and definition. To really take your wavy and curly hair game to the next level – twist your hair. After applying product, gently twist one-inch sections of wet hair into a spiral. And if you like, you can add clips at the roots for a little volume at the crown. Twisting probably won’t work if your hair is naturally stick-straight, but wavy-haired girls: Give it a try! You’ve probably been conditioned for years to think that constantly manipulating your hair will encourage it to, well, behave. After all, blow dryers, curling irons, and hair spray are all about hair manipulation. So it’s totally natural for you to be tempted to run a comb or your fingers through your hair while it’s drying to coax a little smoothness and shape. But touching your hair will actually work against you. Playing with your hair as it air-dries will only lead to frizz and the disruption of your natural curl or wave pattern. So, here’s the formula: Apply product, part your hair where you want it to fall, twist it (if desired), then – let it be. Yep – it almost seems too easy to be true. But this is how air-dried hair works! You don’t need a blowout to make your mane presentable. With the right products, and the right approach, you can air dry your hair to natural perfection. Not only will you have time for that second cup of coffee – you’ll also be on your way to a healthier head of hair. 3 Surprising Ways to Curl Your Hair – Without Heat Damage!